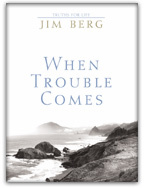 Subtitle: Why Does God Allow Tragedy To Touch The Lives Of His People? The Bible tells us of many individuals who suffered greatly and of course none more so than the Lord Jesus Christ Himself. The physical suffering inflicted by crucifixion was expressly designed by the Phoenicians/Carthaginians and later honed to perfection by the Romans as the ultimate capital punishment. And and horrific as it was, we must realize the physical suffering of the sinless Son of God paled by comparison to the agony He experienced in becoming "sin for us" (2 Corinthians 5:21). So as we discuss the subject of suffering, we must constantly bear in mind that God Himself has set the standard and that "the disciple is not above his master, nor the servant above his lord" (Matt.10:24). In an email we received recently, someone expressed a sentiment that has probably been felt--if not actually expressed--by many. In making some comments about the Patriarch Job, the person accused God of being a cruel and vicious tyrant because the devil was allowed to kill all of Job's children and inflict Job himself with a serious illness--then ended by saying they hoped that part of the Bible was fiction! Well, needless to say, we had to stress some very important theological concepts in our reply. "For my thoughts are not your thoughts, neither are your ways my ways, saith the Lord. For as the heavens are higher than the earth, so are my ways higher than your ways, and my thoughts than your thoughts" (Isaiah 55:8-9, KJV). "[Earnestly] remember the former things which I did of old; for I am God, and there is none else; I am God and there is none like Me, (10) Declaring the end and the result from the beginning and from ancient times the things that are not yet done, saying, My counsel shall stand, and I will do all My pleasure and purpose" (Isiaiah 46:9-10, Parallel KJV/Amplified Bible commentary, emphasis mine). So what possible reason could God have in calling Satan's attention to His most faithful servant on earth? If He loved Job (and He most assuredly did! ), why would He "sic the devil on him"--as if urging a vicious dog to attack? Did He not know what would happen? Why, of course He did! He also knew Job infinitely better than Job knew himself and that the ultimate outcome would be for His (God's) own honor and glory! And too, Satan proved by his actions that he obviously does not possess God's knowledge of the future. He eagerly went after Job in an effort to prove God wrong and doubtless learned another lesson in the process! So let's look at this portion of Scripture and see what we can discover. "Then Satan answered the Lord, Does Job (reverently) fear God for nothing? (10) Have You not put a hedge about him and his house and all that he has, on every side? You have conferred prosperity and happiness upon him in the work of his hands, and his possessions have increased in the land. (11) But put forth Your hand now, and touch all that he has, and he will curse You to Your face. (12) And the Lord said to Satan--the adversary and the accuser--Behold, all that he has is in your power; only upon himself put not forth your hand. So Satan went forth from the presence of the Lord." "(13) And there was a day when [Job's] sons and his daughters were eating and drinking wine in their eldest brother's house [on his birthday]; (14) And there came a messenger to Job, and said, The oxen were plowing and the donkeys feeding beside them; (15) And the Sabeans swooped down upon them and took away [the animals]; indeed, they have slain the servants with the edge of the sword; and I alone have escaped to tell you. (16) While he was yet speaking, there came also another, and said, The fire of God [lightning] is fallen from the heavens, and has burned up the sheep and the servants, and consumed them; and I alone have escaped to tell you. (17) While he was yet speaking, there came also another, and said, The Chaldeans divided into three bands, and made a raid upon the camels and have taken them away, yes, and have slain the servants with the edge of the sword; and I alone have escaped to tell you. (18) While he was yet speaking, there came also another, and said, Your sons and your daughters were eating and drinking wine in their eldest brother's house, (19) And behold, there came a great [whirlwind] from the desert, and smote the four corners of the house, and it fell upon the young people, and they are dead; and I alone have escaped to tell you." "Then Job arose, and rent his robe, and shaved his head, and fell down upon the ground and worshipped, (21) And said, Naked [without possessions] came I [into this world] from my mother's womb, and naked [without possessions] shall I depart. The Lord gave, and the Lord has taken away; blessed [praised and magnified in worship] be the name of the Lord! (22) In all this Job sinned not, nor charged God foolishly." As would be expected from a man of the Middle East, Job expressed grief by tearing his outer garment--the long robe which both men and women wore. He also shaved his head, which was another grief-related custom, but the next thing he did still astounds unbelievers to this day: He fell down on the ground and worshipped God, acknowledging His Sovereignty in the matter! In other words, Job rightly reasoned that God had given him children and possessions and God had the right to withdraw them. And unfortunately, many professing Christians will give lip service to this principle--as long as it is not their children nor their possessions! Just this past week commandos in the Philippines tried to rescue a missionary couple held hostage for over a year by Islamic miltants. In the gunbattle that erupted, two were killed--a Philippino woman and the missionary husband--while his wife was wounded in the leg. In what appeared to be the first statement given by the lady after her rescue, she thanked God for her deliverance and expressed no hatred toward the men who had killed her husband, saying the whole affair was God's will. Unbelievers have learned to expect this type of reaction from dedicated Christians, but they do not understand it and would not emulate it themselves. So what is the point of it all? What possible good can come from a believer stoically accepting one tragedy after another and then, by faith, praising God for His mercy and grace--attributing the awful events to His Sovereign will? The answer may surprise you, but before we get to it--there is much more misery in store for poor Job! CHAPTER 2, verse 1--"Again there was a day when the sons of God [the angels] came to present themselves before the Lord, and Satan--the adversary and the accuser--came also among them to present himself before the Lord. (2) And the Lord said to Satan, From where do you come? And Satan--the adversary and accuser--answered the Lord, From going to and fro on the earth, and from walking up and down on it. (3) And the Lord said to Satan, Have you considered My servant Job, that there is none like him on the earth, a blameless and upright man, one who (reverently) fears God and abstains from and shuns all evil [because it is wrong]? And still he holds fast his integrity, although you moved Me against him, to destroy him without cause. (4) Then Satan answered the Lord, Skin for skin, yes, all that a man has will he give for his life. (5) But put forth Your hand now, and touch his bone and his flesh, and he will curse and renounce You to Your face. (6) And the Lord said to Satan, Behold, he is in your hand; only spare his life. (7) So Satan went forth from the presence of the Lord, and smote Job with loathsome and painful sores from the sole of his foot to the crown of his head." Attack #2 would be on Job's weakness : his flesh. By God's own estimation, Job was one who "fears God and abstains from and shuns all evil...." But Satan knew that Job was a fallen creature and possessed a sinful nature--"the flesh," as the Bible terms it--the depraved nature all humans inherit from Adam, the federal head of the human race. We humans do not have to be taught to sin, because it "just comes naturally"! If you doubt this assertion, please consider a fact to which parents around the world can attest: infants will often cry as if they are in pain--only to laugh when they get your attention! This is the use of deceit and they certainly were not taught it! Lying also comes easily to a youngster--especially when they are old enough to understand right from wrong and have been caught doing something against the rules. Punishment is unpleasant (as it is supposed to be) and manipulating the facts in an effort to avoid its infliction is certain to be tried by most. The origin of this deceitfulness is our depraved nature--our flesh. At this point Satan already has one strike against him. Job has lost nearly everything dear to him, but even in his extreme distress and sorrow he worshiped God and acknowledged His Sovereignty--without cursing God to His face, as Satan had predicted. "And he took a piece of broken pottery with which to scrape himself, and he sat down among the ashes." "Then his wife said to him, Do you still hold fast your blameless uprightness? Renounce God, and die!" "But he said to her, You speak as one of the impious and foolish women would speak. What? Shall we accept [only] good at the hand of God and shall we not accept [also] misfortune and what is of a bad nature? In [spite of] all this Job did not sin with his lips." In Satan's attempt to apply a final "coup de grace," attack #4 comes from the " wise men"--Job's friends. They try to "help" Job by insisting he admit to personal sin. In page after page of poetic oratory, the balance of the Book involves itself with their mistaken and purely human belief that bad things just do not happen to good people, unless sin is involved! But Job does not endure their accusations in silence and steadfastly maintains his innocence and integrity. In the end, God vindicates Job, shames his would-be counselors, and restores to Job both his health and much more wealth than he had previously. Seven more sons and three daughters were born to him and his wife--thereby replacing those taken in death. No further comments by Satan are recorded and one can only conclude that he was forced to "eat crow" in defeat. Was God "fair" in putting Job through this horrible test? Was He "fair" in taking the lives of Job's children? Quite frankly, our flesh immediately cries, "ABSOLUTELY NOT"!!!!! But as I pointed out at the beginning, "Look at what we are thinking with." Our human concept of fairness is, well, .....human! 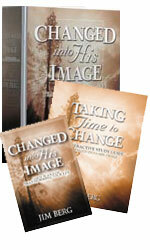 God cannot do wrong and when we are tempted to think otherwise, common sense must bring us back to spiritual reality. What purpose did Job's testing serve? What purpose does the trials and tribulations of any of God's people serve? Is God--as so many unbelievers charge--a cruel and vicious tyrant who gets a sadistic thrill out of torturing people without cause? If credible answers are to be found, they must come from the Word of God--otherwise they will be merely the opinions of men and worthless. But we must understand that many profound theological questions will remain unanswered, because the Bible simply does not provide them. For reasons we cannot understand, God has seen fit to keep us in the dark about certain things. For instance, a very logical question to ask is, Why did God create Lucifer in the first place? Did He not know that Lucifer would rebel and become Satan? The answer to the first question is unknown, but "Of course" is the common-sense answer to the second! The divine attribute of omniscience demands that He created Lucifer with the full knowledge of what he would become. But why He did so is another matter entirely. So putting aside legitimate questions which are unanswerable, let us turn our attention to a passage of Scripture that does provide some interesting insight into God's actions. "To me, though I am the very least of all the saints (God's consecrated people), this grace (favor, privilege) was granted and graciously entrusted: to proclaim to the Gentiles the unending (boundless, fathomless, incalculable and exhaustless) riches of Christ--wealth which no human being could have searched out. (9) Also to enlighten all men and make plain to them what is the plan [regarding the Gentiles and providing for the salvation of all men,] of the mystery kept hidden through the ages and concealed until now in [the mind of] God Who created all things by Christ Jesus. (10) [The purpose is] that through the church the complicated, many-sided wisdom of God in all its infinite variety and innumerable aspects might now be made known to the angelic rulers and authorities (principalities and powers) in the heavenly sphere." Did you catch that? Paul very boldly states that God sent him personally to "proclaim to the Gentiles" and "enlighten all men and make plain to them what is the plan....," "the mystery kept hidden through the ages and concealed until now...." What is that plan? What is the mystery to which he is referring? Of course he is referring to the salvation provided for by Christ, but the specific answer we are looking for is found in in the last sentence--The purpose of it all is that through the Church of Jesus Christ, God's wisdom is to be made known to the angelic rulers and authorities (usually referred to in the Bible as "principalities and powers") in the heavenly sphere! Although Job lived during Old Testament times and was not a member of the Church per se, the principle is obviously the same--when God turned Satan loose on him, it was for the primary purpose of teaching both Satan and all the angels (both good and evil) a lesson! When we, as members of the Bride of Christ, suffer hardship, sickness, the loss of a loved one, etc., and our whole world is turned upside down--just remember that to handle it in a Christ-like manner, as did Job, is to honor God and instruct the very angels in the process!!!!! This puts an entirely different face on our suffering, does it not? A good supervisor will not demand work of subordinates that he/she would not do themselves. The most respected military officers lead their troops into battle. The Lord Jesus Christ suffered, bled, and died for His Bride--the Church. So He asks nothing of us that He has not experienced Personally. And we must not lose sight of the fact that God the Father sent His Son to die, according to His own eternal plan (Acts 2:23). Fair? It all depends on how we look at it!